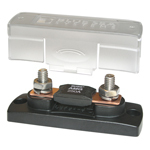 For use with Blue Sea 5001 and 7721 fuse blocks. 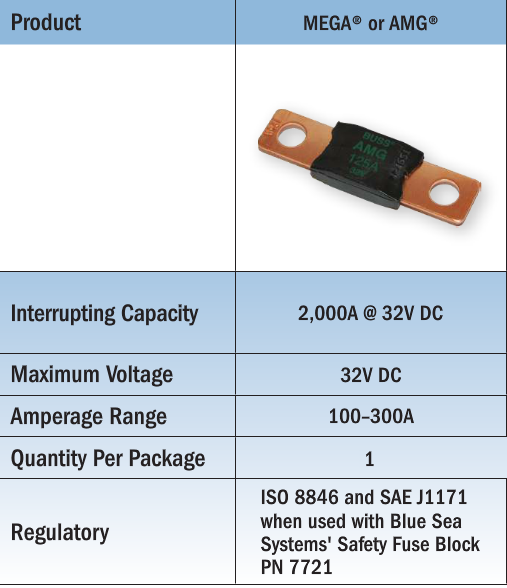 The fuse itself is NOT ignition protected but when used with the 7721 fuse block the enclosure makes it ignition protected. 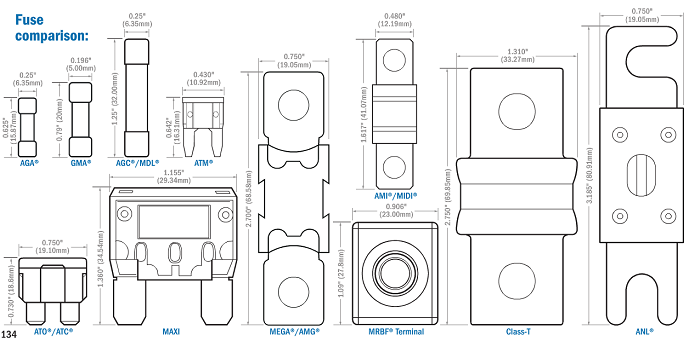 Because these Maxi Fuses only have an interrupt capacity of 2000 Amps the ABYC Standards limit their use as primary circuit protection. See my Blog Post for more details. 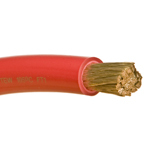 Maxi Fuses are an economy product. 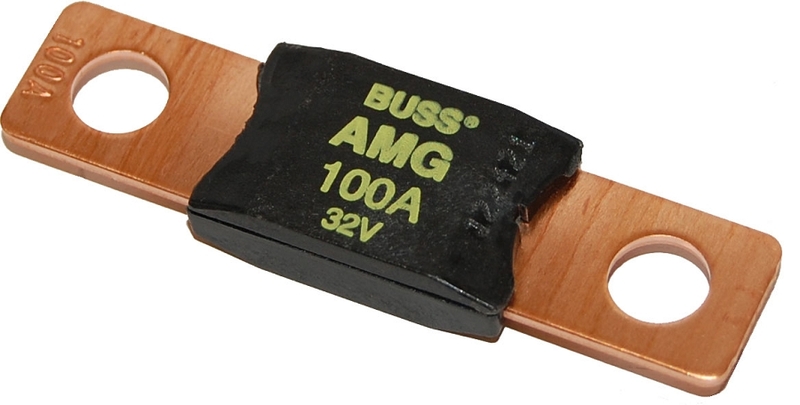 For an equivalent fuse with a higher performance take a look at ANL fuses.